Time to feel old, everyone! The original Nintendo Wii was released in North America ten years ago today. Yep, it was November 19th 2006 that the gaming landscape was changed forever, as Satoru Iwata’s home console brainchild was released, and changed perceptions of what it means to be a gamer. The Wii opened the door for audiences who previously seemed as far removed from gaming stereotypes as possible. No longer were video games just a “geek” pastime, but a hobby for just about everyone, from small children to grandparents and everything in between. It not only changed the direction of Nintendo, but even Sony and Microsoft took note, and if the popularity of mobile games is any indication, the Wii’s impact is still being felt. Sure, the console had more than its share of shovelware (but then again, so did the PS2, not that anyone seems to bring that up). And the Wii has long-since received flak from undeservedly self-important nerds who deride the console and its motion controls for not pandering to them. But the Wii was a genuine game-changer, and had its fair share of classics (many of which, I would argue, hold up a lot better than the beloved Nintendo 64). The Wii became a massive success for Nintendo, and even featured some of the most acclaimed games in history (notably the Mario Galaxy titles). Sadly, it’s successor, the Wii U -despite featuring a number of brilliant games – could not replicate the Wii’s success, and is Nintendo’s least-selling home console to date, as well as being unfairly berated on the internet (once again, it’s probably a better console than the N64, or even the GameCube, but I guess it doesn’t have blinding nostalgia on its side). Perhaps because of the Wii U’s less-than-stellar sales, Nintendo is now dropping the Wii name from its next console, the Nintendo Switch (am I the only one who sees the missed opportunity for it to be named “SWiitch?”). But no doubt the Wii brand left a huge impact on not only Nintendo, but the world of gaming as a whole. Here’s to the original Wii, and the brand it created. Happy ten years, you wonderful, ivory box you! The Wii was a revolutionary console, it brought non-gamers to the market. Me and my family still play Wii Sports during family occasions such as Christmas or Easter. 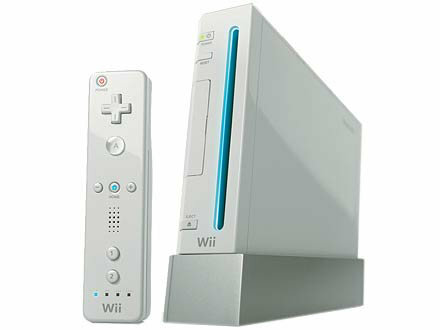 Can’t believe it has been 10 years, happy birthday to the Nintendo Wii. Oh boy, I am old! The Wii was an excellent console! One lie that gets repeated over and over again is that it didn not have third-party support, when – in fact – it had a great range of very good third-party titles. They were just not big-name games, so many people fail to remind they existed. I own more than 50 Wii games, and there is only one I did not like: the horror that is Pokemon Battle Revolution. Plus, it has my two favorite games of all time – the Galaxy titles – so there is also that. Wow, no way. Happy 10th Birthday to the Wii! Love this console! Good post!! I got the Wii for Christmas when it came out, with Zelda and Wii Sports. Despite being mega excited for Zelda and only kind of interested in Wii sports, I found Zelda’s intro tiring so moved onto wii sports, only to have my mind blown. Boy, was it fun. At the time, my other friends were going nuts over ps3/xbox360 and – don’t get me wrong, I love those consoles, too – the sense of superiority they felt over me for having these consoles was overwhelming. I used to feel a little insecure when they talked about modern warfare and gta4 lol. Still, Zelda turned out great, Wii Sports got my parents playing games for the first time in years and Red Steel, when I got that the following January, (screw you, guys, I like it! :P) rocked my world with its hilarious multiplayer. So many good titles and ideas on the Wii. Happy Birthday.